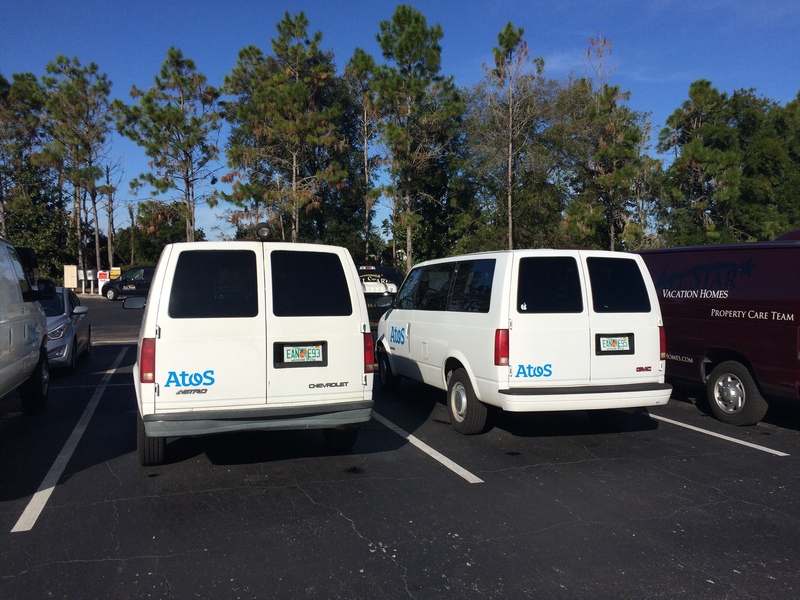 Atos Rebrands with Vehicle Graphics in Orlando! Companies buying other companies out is a natural occurrence in the business world. And, there are many factors to take into consideration as you think about what this new organization is going to look like. One of the major aspects is changing the branding to be consistent across all locations. This is what Atos was looking to achieve when they contacted Citrus Sign Studio for vehicle graphics for rebranding in Orlando, FL. Based in France, Atos was formed in 1997 after two IT service companies in France, Sligos and Azime, merged. They have continued to grow ever since, including the acquisition of Xerox in 2015. They provide a long list of innovative services for businesses, including application management, business integration solutions, ERP consolidation and harmonization, media solutions, data center services, managed infrastructure solutions, and much more. When an organization that does so much for businesses came to us to rebrand with vehicle graphics in Orlando, FL, we were more than happy to help. 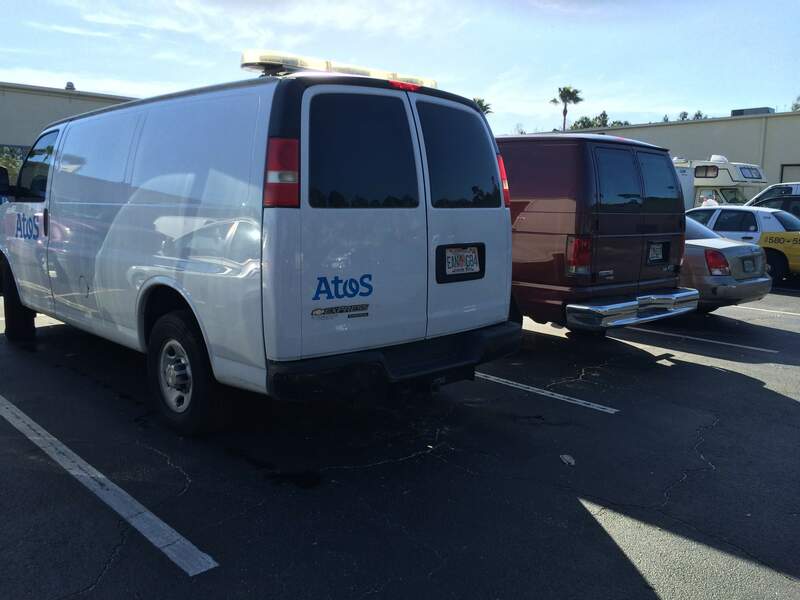 With the recent acquisition of Xerox, there were several work vehicles that needed to be updated with the Atos logo. Fortunately, they contacted the best sign shop in Orlando for the job. During an initial consultation, we learned about Atos’s goals for the project. They had an entire fleet of Xerox vehicles that needed to represent the new Atos branding. They provided us with the Atos logo, and they simply wanted the logo installed on all of the vehicles. 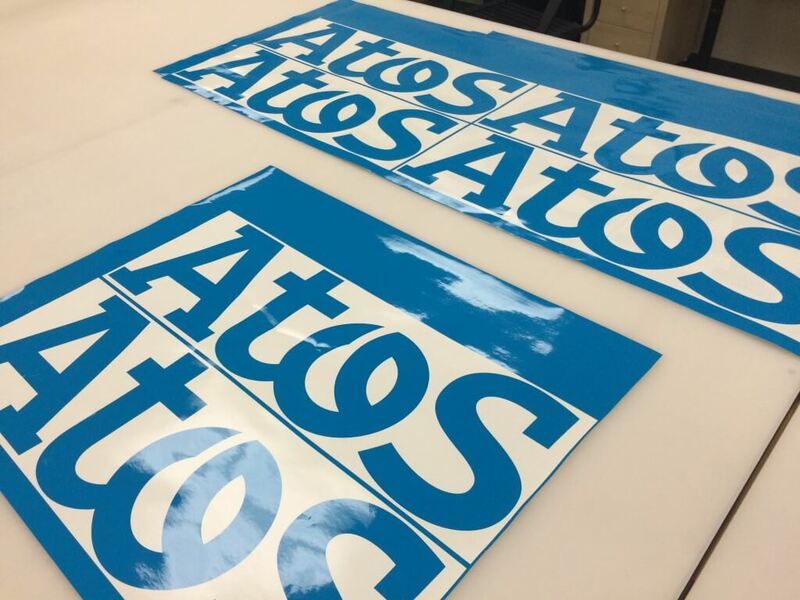 First of all, we used the Pantone color matching system (or PMS for short) to perfectly match the blue in Atos’s logo. We then printed it out on high-quality vinyl film specifically manufactured for use on vehicles. We then worked with the client’s schedule to install the vinyl lettering onsite. In the end, they were completely satisfied with the work we did. Now, as they are driving around town, they are exposing potential customers to the Atos branding. Whether you are changing your name because your business was purchased by another company, you are refreshing your brand, or it is just time for a change of pace, we are here to help you with your vehicle project. Once you have your new branding locked in, it is important that you update all of your marketing materials, including your signage and graphics, as soon as possible in order to boost your brand exposure and to avoid confusion. When you contact Citrus Sign Studio for a free consultation, we perform a site survey where we take note of all of your old branding and make suggestions of what can be done to update your facilities and vehicles. We believe in finding solutions that are good for the environment and for your budget. So, a lot of the times, we are able to simply reface some of your signs. If you are rebranding and need help with your signs and graphics, contact our friendly professionals today for a free consultation and quote.